Are you looking for affordable and top of the line oven cleaning services in Maidenhead? If you are, then you have come to the right place because we will gladly provide you the assistance that you need. We are professional sanitation experts and throughout our careers, we have handled perfectly an abundance of oven cleaning projects. We have been in business for a very long time and today we are benchmark for dependability, precision and competence. We take our profession seriously, which is why our Maidenhead oven cleaning services are draft in correspondence with all the local health laws and regulations. This means that we are suitable to sanitise both household and commercial ovens. As licensed cleaners, we understand very well the importance of having a clean oven that lacks dust, ashes and soot. This is why we use eco-friendly sanitation products that will remove the aforementioned elements without leaving harmful particles behind. Our primary objective is to help our clients maintain a clean oven in which they can prepare their meals without the worry of food contamination. At Monster Cleaning Maidenhead, we are attentive contractors and for that reason, we have fully insured our oven cleaning services. This way our clients can have the peace of mind that they will be reimbursed in the case of an unwanted event. However, you should note that to date we have never used our insurance policy because we have never had any accident of any kinds. This is due to our impeccable work ethics and company polices, as we always work with utter diligence and turn attention to all the details that are involved in a Maidenhead oven sanitation project. We believe that everybody should have access to first grade oven cleaning services in Maidenhead, and therefore we work with reasonable rates. We are known to maintain an excellent quality/price ratio and the following samples will show you why. Keep in mind that you can combine our oven cleaning services with some of our other Maidenhead sanitation options and benefit from an amazing discount. 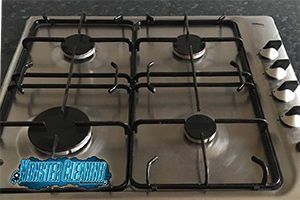 For example, the cleaning of a single oven and hub extractor will cost you £75 while booking us for an end of tenancy sanitation job for over £100 will result into the free cleaning of your oven. You can learn more about our cleaning company in Maidenhead by exploring our company website in full. Contact us at a time that suits you best and request your personalised free quote.